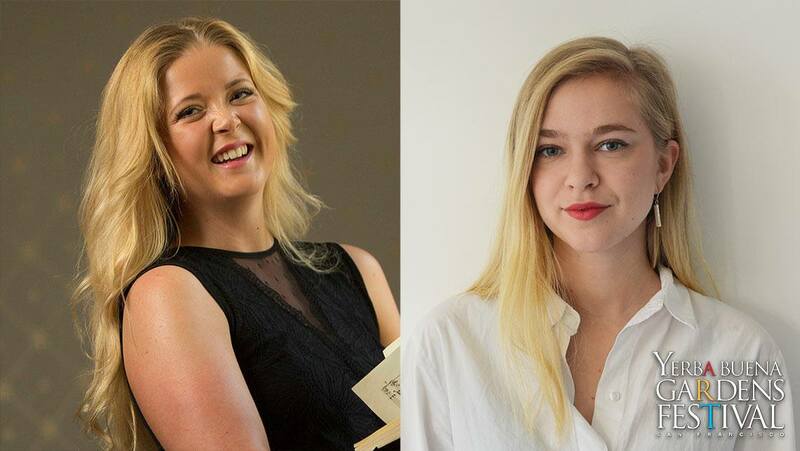 Every summer the Consulate General of Sweden joins forces with the Yerba Buena Gardens Festival (YBGF) to host the annual winner of a scholarship named after Swedish soprano Jenny Lind, awarded jointly by Folkets Hus och Parker and the Royal Swedish Academy of Music. This year’s awardee is 26-year-old Norwegian soprano Kine Sandtrø, who enrolled in the candidate program at the University College of Opera in Stockholm last year. Her accompanist for her YBGF recital will be 23-year old Swedish pianist Julia Sjöstedt, who just began studies for a Master’s degree under the guidance of Stefan Bojsten. The program for this recital has not yet been announced and is usually handed out to the audience just before the performance begins. This recital will be part of the YBGF Lunchtime series, presented on the Festival “main stage” in Yerba Buena Gardens, which fills most of the northwest corner of Howard Street and Third Street. This particular concert will begin at 12:30 p.m. on Thursday, June 21, and should last for about an hour. Seats are usually set up in front of the stage; but if June 21 happens to be one of those rare days when the sun comes out, attendees should be prepared to have their own ways to shade themselves. There are also a few shady spots under trees near the stage, and some may even have chairs set up there. There is no charge for this (or any other) YBGF event; so showing up is all that is required.